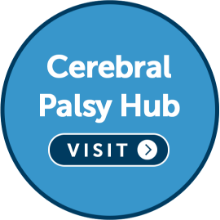 Diagnosing cerebral palsy is a difficult process as there are other health problems that can mimic the condition. A cerebral palsy diagnosis does not necessarily follow even though a child may exhibit some of the symptoms. Brain damaged children over the age of six months usually have obvious difficulties and are often slow to reach developmental milestones such as rolling over, sitting up, crawling, walking and talking. Declining motor skills may indicate genetic disease, muscle or metabolic disorder, or tumour in the nervous system. An electroencephalogram (EEG) traces electrical activity in the brain and can reveal patterns that suggest a seizure disorder. Electromyography and nerve conduction studies can identify a nerve or muscle disorder. Chromosome analysis may be performed to identify a genetic anomaly. Thyroid function tests may reveal low levels of thyroid hormone, which can produce several congenital defects and severe mental retardation. A high level of ammonia in the blood is toxic to the central nervous system. This may be due to a liver disorder or a defect in metabolism. Imaging tests may diagnose hydrocephalus, structural abnormalities, and tumours. Magnetic resonance imaging (MRI) defines abnormalities of white matter and motor cortex. A head CT scan can show congenital malformations, haemorrhage, and periventricular leukomalacia in infants. Ultrasound can detect cysts and abnormal structures in the brain. A cerebral palsy diagnosis can not be made quickly or easily as the extent of the child's problems may not become clear for some time. Doctors need to test the child's motor skills and look carefully at the medical history, paying special attention to any instances of slow development, abnormal muscle tone or unusual posture. Intelligence testing is also used to help determine if a child has any intellectual impairment, however intelligence testing a child with movement difficulties does not always give an accurate result. A doctor must move carefully towards a diagnosis after eliminating all other possible causes. Was medical negligence to blame? If you believe that your child's injury was caused by medical negligence and you would like free advice from an experienced solicitor, complete the form here to start your claim.